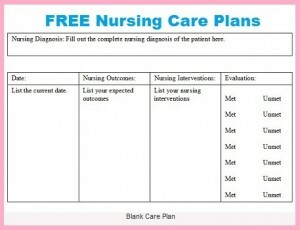 This nursing care plan is for patients who are experiencing acute pain. According to Nanda the definition for acute pain is the state in which an individual experiences and reports the presence of severe discomfort or an uncomfortable sensation lasting from 1 second to less than 6 months. It is important to note that if a patient reports pain lasting longer than 6 months this is considered chronic pain. The defining characteristic for a nursing care plan for acute pain is that the patient must report or demonstrate signs of discomfort. Some signs of discomfort include nausea, itching, vomiting, or pain. Other signs that may be present are increased vital signs from baseline vitals, crying, moaning, facial mask of pain, or a guarded position. Patient can experience acute pain due to many reasons. Some reasons include musculoskeletal disorders such as fractures or arthritis to treatment related issues such as burns or accidents. 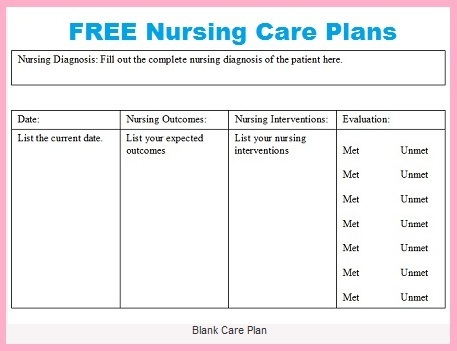 Below is a nursing care plan for acute pain that includes a nursing diagnosis, interventions, and goals. A 68 year old male is admitted for hypertension. The patient blood pressure is now under control but now the patient has developed pain in his left big toe. The patient toe is red and warm to the touch. When the toe is touched the patient winces in pain. The patient states it hurts to move his toe and that it is painful for a blanket or sheet to touch it. He states it hurt more at night and describes the pain as throbbing and crushing. The doctors diagnosis is gout. The patient states his mother had gout attacks but this is the first time he has had one and finds it very painful. The patient rates his pain 8 on 1-10 scale. Acute pain related to tissue trauma and reflex muscle spasms secondary to gout as evidence by patient rates pain 8 on 1-10 scale and winces in pain. The patient states it hurts to move his toe and that it is painful for a blanket or sheet to touch it. He states it hurt more at night and describes the pain as throbbing and crushing. The patient states his mother had gout attacks but this is the first time he has had one and finds it very painful. The patient rates his pain 8 on 1-10 scale. A 68 year old male is admitted for hypertension. The patient blood pressure is now under control but now the patient has developed pain in his left big toe. The patient toe is red and warm to the touch. When the toe is touched the patient winces in pain. -The patient will verbalize decrease in pain by rating pain less than 4 on 1-10 scale within 24 hours of receiving pain medication. -The patient will be able to move his left big toe without pain in 48 hours after starting Colichine. -The patient will verbalize 5 signs on how to recognize early signs and symptoms of a pending gout attack. -The patient will verbalize 6 foods to avoid to help prevent future gout attacks. -The patient will verbalize how to correctly take Colichine before discharge. -The patient will demonstrate 4 non-pharmacological techniques to help decrease pain during gout attacks. -The nurse will assess the patients pain level every 2 hours while patient is awake until patient’s pain rating is less than 4 on 1-10 scale. -The nurse will administered Colichine 0.5mg BID per md instructions to the patient to help with gout pain and swelling. -The nurse will assess the patient’s ability to mobilize his left big toe within 48 hours of starting Colichine. -The nurse will educate the patient on 5 signs on how to recognize early signs and symptoms of a pending gout attack. -The nurse will educate the patient on 6 foods to avoid to help prevent future gout attacks. -The nurse will educate the patient on how to correcly take Colichine for gout before discharge. -The nurse will educate the patient and have him demonstrate 4 non-pharmacological techniques to help decrease pain during gout attacks.